This new Training Professor Video Series is an immersive experience unlike any other. First, you’ll learn the basics of CAD – from customizing the interface, to importing files, and drawing with points, lines, and arcs. Then you’ll advance to more complex situations like using booleans, working with solids, and repairing surfaces. 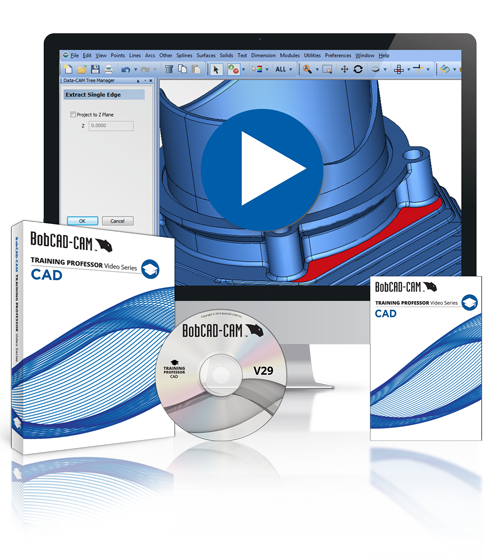 Learn how to use key components in the latest CAD software to increase design productivity with the new BobCAD-CAM training video set. Over 4 Hours of Video Training! Whether you’re learning Computer Aided Design software for the first time or simply looking to sharpen your skills, this training set will equip you with the knowledge and confidence needed to design better models, faster and easier.